AGS & Handrails has always specified Stainless Steel Handrails because stainless steel is durable and basically maintenance free. Our recommendation for stainless steel handrails, is to be rounded pipe with a maximum 1.66 inch diameter. Our Alloy Type 304 should be utilized for interior projects and alloy Type 316 for exterior projects. Our finishes range from #4 satin longitudinal to #8 mirror finish. Currently, architects are specifying infill panels to be either stainless steel, wire mesh panels, or glass infill panels with custom stainless steel glass clips. 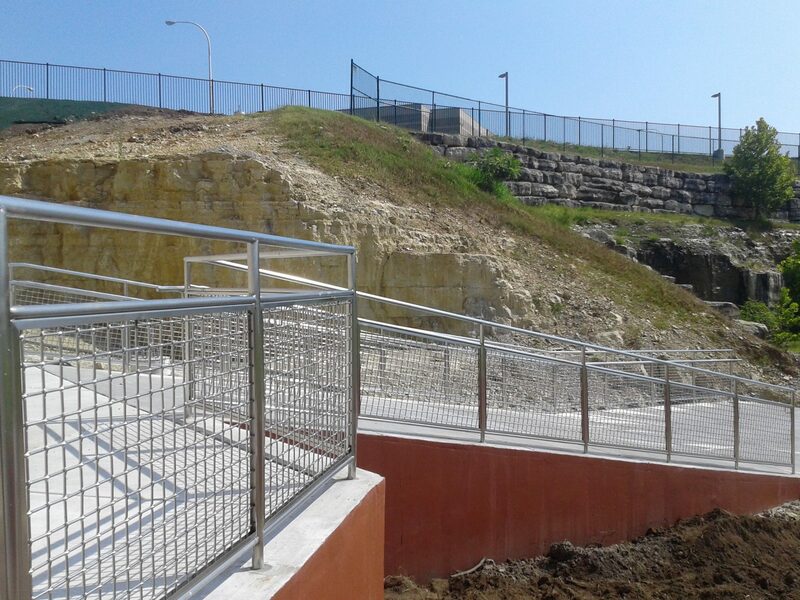 Stainless Steel Handrails advantages include high durability, easy maintenance, extreme affordability, aesthetically appealing, and available in a wide variety of designs. With the sheer range available in the market, it is possible to create a perfect balance in any home or commercial space making Stainless Steel Handrails such a popular choice for architecture in the Midwest and worldwide. Contact us today and learn about our Stainless Steel Handrails system and it’s many advantages. We look forward to having you as part of the AGS & Handrails Corporation family. Our team is ready to serve you and give you the best recommendation for your handrail needs.